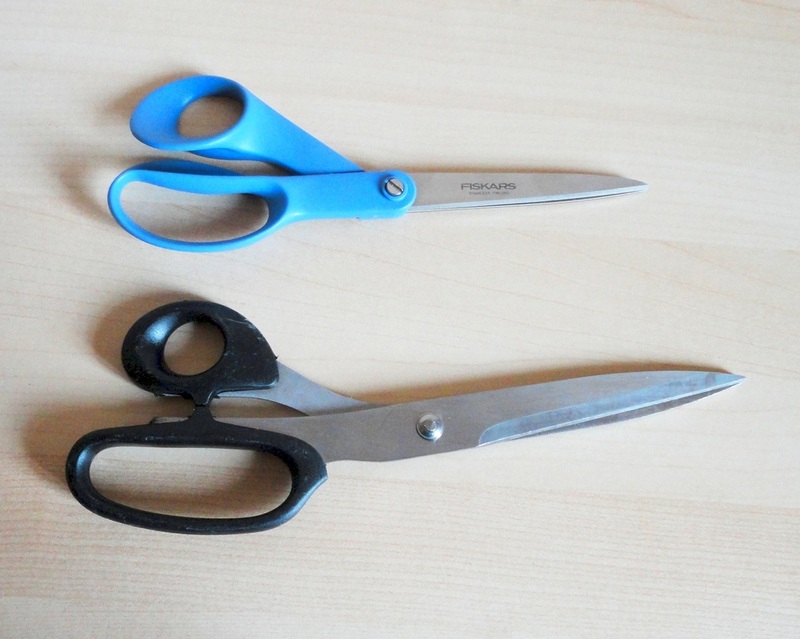 My nice Fiskars scissors are kept strictly for cutting fabric. 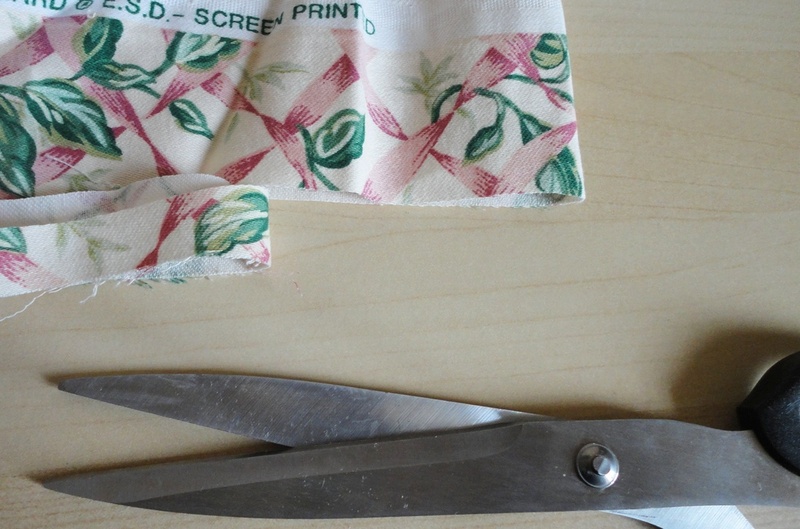 They work really well but there are times when a more robust pair would be preferable, especially when I'm cutting stiff denim or upholstery fabric. Kurtzy sent me a free pair of these scissors to try out and, given the price, I was surprised by their high quality. They are relatively heavy and quite large, especially the lower finger hole; I can put all four fingers inside. The blades are stainless steel and honed to impressive sharpness, and held together by a metal screw, which gives them a longer usable life. I have tried them on the thickest fabric I have, then I doubled and tripled it. 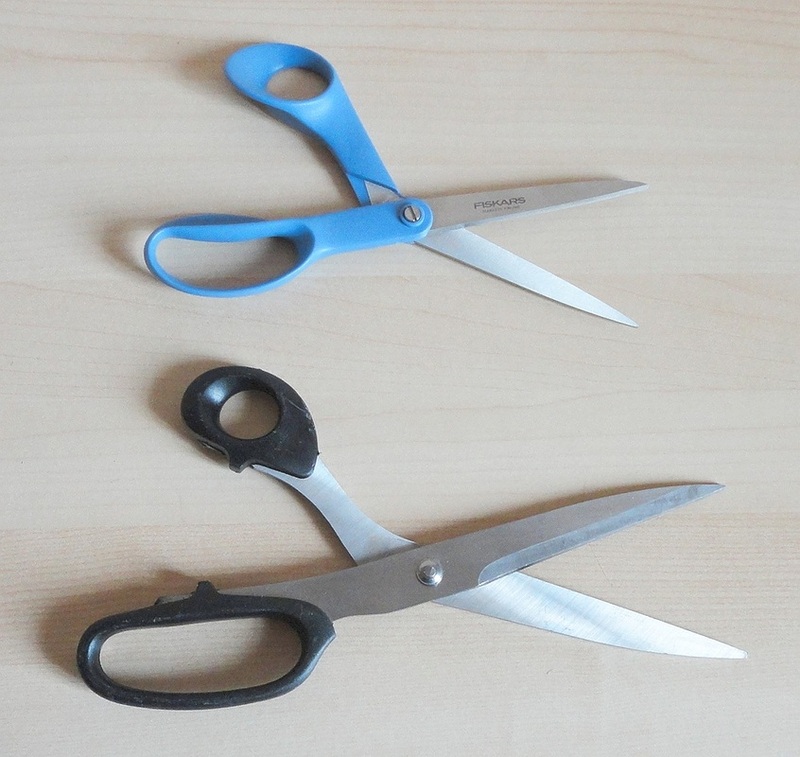 The scissors coped brilliantly with the task and I found them comfortable to hold. The long blades also help in getting the job done faster and with fewer strokes. 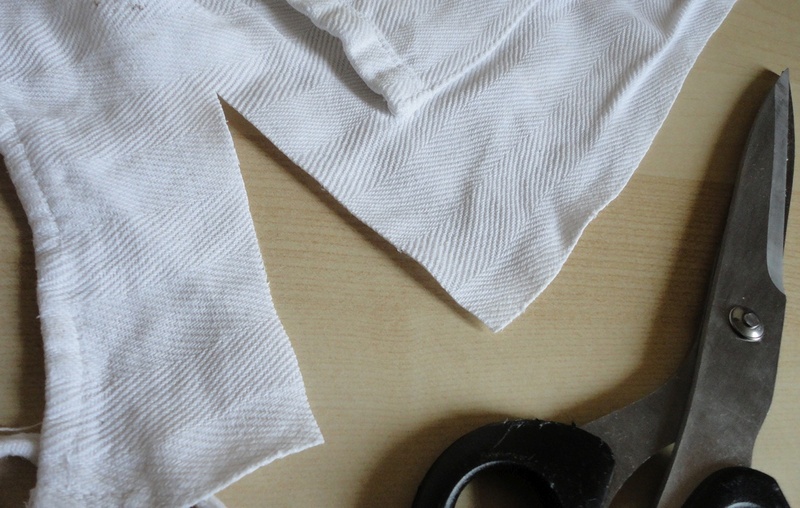 I will treat them with the same courtesy as my Fiskars, and only cut fabric with them because I want them to stay as sharp as they are now. They can easily cut cardboard and even leather, but that would soon dull the blade. With their black plastic handles, the look is not jazzy but the performance is excellent. 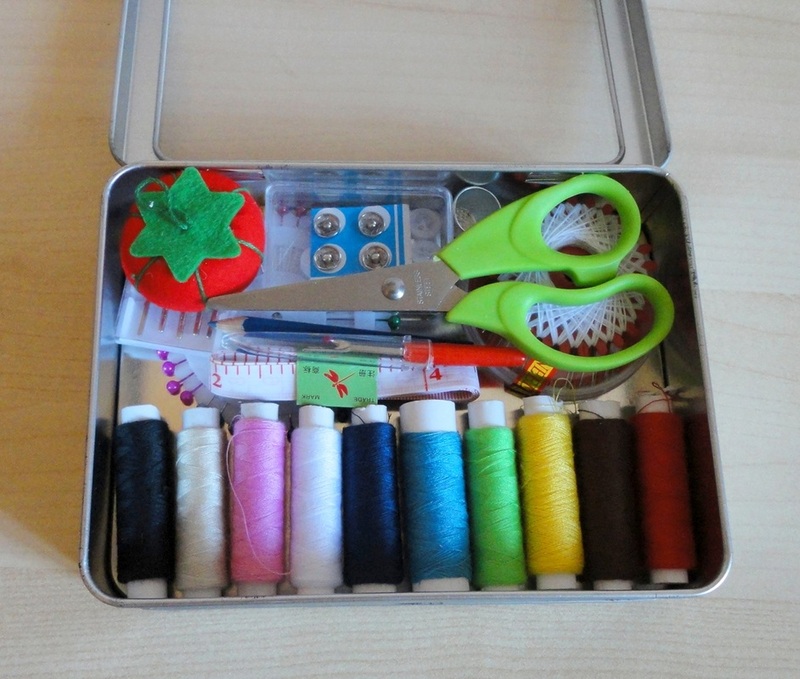 A most comprehensive sewing kit, housed in a compact but spacious tin box with see-through lid. You can see the contents in my photos, but basically there are ten thread spools of the sort that can be used with a sewing machine (plus an additional wheel of white thread); the thread quality is better than I thought; the colours are strong, primary hues and would cover most emergency repairs, which is what this kit is meant for. 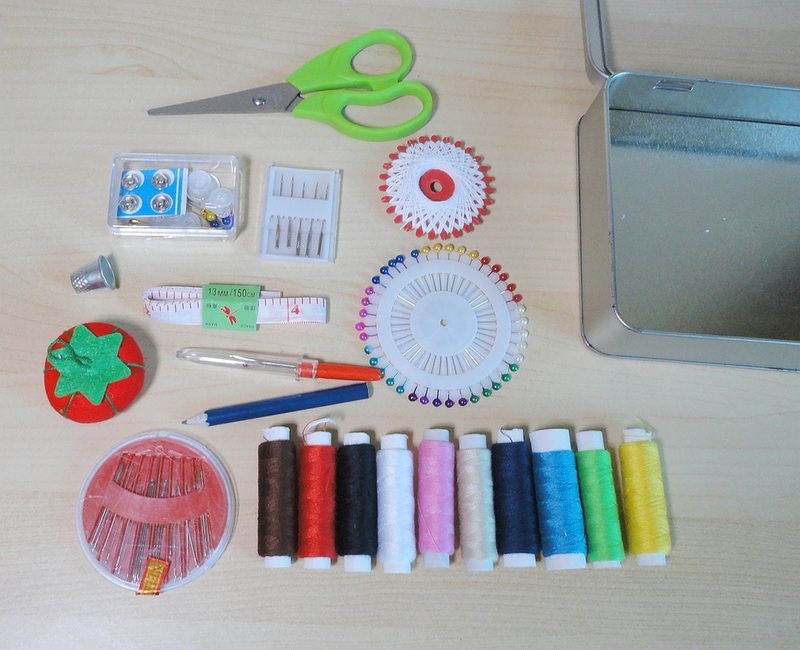 There is a good selection of needles, both for hand and machine sewing, a lot of pins with coloured heads (much easier to see than my old silver-tipped ones), a tomato-shaped pin-cushion, a marking pencil, a long (1.5 m) reinforced measuring tape (giving both inches and cm), a few buttons, clip-on fasteners, safety pins, a tiny thimble that fits on three of my fingers; small sharp scissors that cut very well, and a seam ripper. I'm always breaking my seam rippers, so I was glad to have an extra one! Since my regular sewing supplies take up a couple of large baskets, I was impressed to see all the essentials grouped in such a compact and portable way. This kit would be very useful in a holiday home, in the car, as a gift for a student living away from home, even to take with you on holidays. As usual with Kurtzy, you get good quality for a very reasonable price. A sample kit was provided to me for review purposes. 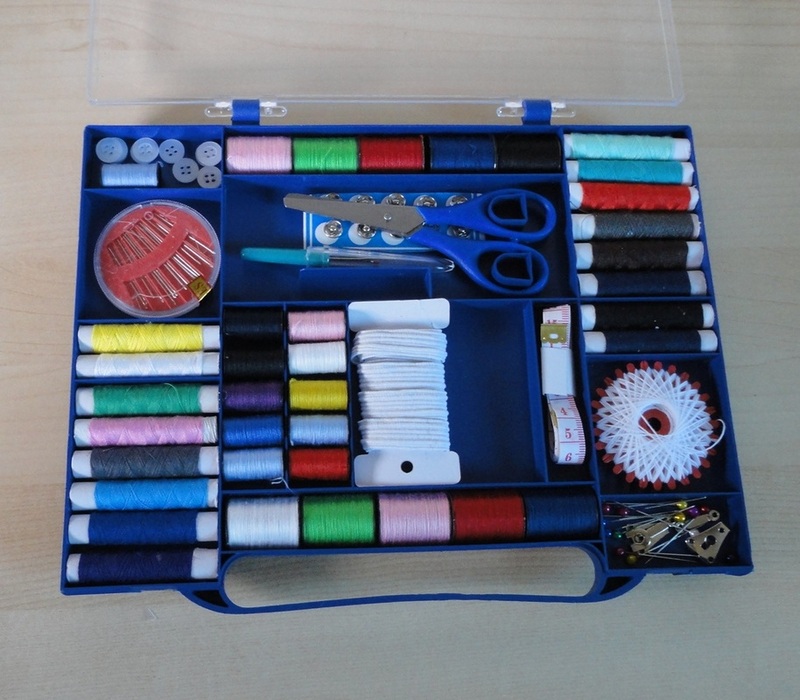 Kurtzy have come up with several variations on the portable sewing kit, and this one offers a really large selection of thread, with a total of 36 spools in three different sizes, plus an extra wheel of white thread. Some of the colours are repeated, but there are still a lot of shades. In addition there are small quantities of all the essentials bits and pieces that are so useful in an emergency: sewing needles, pins, buttons, clip-on fasteners, elastic, a long (1.5 m) reinforced measuring tape (giving both inches and cm), small sharp scissors that cut very well, and a seam ripper. The carrying box is made of plastic with a see-through lid and this is the only weak point, as I see it; the lid on mine seems a little curved and the closing clips don't close perfectly. I think the design of the box could be improved. I do like that the contents are very neatly organized in separate small compartments, making it easy to keep everything in its place. Considering the mess in my two sewing baskets, I appreciate this aspect. This kit would be perfect to take on holidays, to keep in the car, as a gift for a student living away from home, or for a secondary home. The quality of the thread and other supplies is very good for the price.